Republican “Good Old Boys”: Hey, Let’s Make Sarah Palin RNC Chairman! You really have to laugh at these Republican establishment types. These “good old boy” characters couldn’t be more pathetic if they tried. As you know, Michael Steele has once again opened mouth and inserted foot. Full disclosure, I like Michael Steele. I don’t have bad feelings for the guy. But he’s proven that being the Chairman of the RNC isn’t the best use of his talents. This latest flap is way overblown, however. He’s said worse. Anyhow, this isn’t about bashing Michael Steele. Nope, this is all about exposing the pathetic milquetoast moderates and their silly notions. Re: Steele and the RNC: Allow me to chime in with my usual observation on this subject: This is a job for Sarah Palin. Palin would be a much better RNC chairman than presidential candidate or freelance kingmaker. She’d raise tons of money and help recruit good candidates, i.e., she’d excel at doing the things Steele should have been doing instead of appointing himself Republican pundit-at-large. A Chairman Palin would help set the right tone for the Republican party without having to get herself entangled in the minutiae of policy-development, which has not been her forte. Sure, she’d be polarizing, but so is Barack Obama, and these are polarized times. And it’s one thing to have a polarizing party chairman, another to have a polarizing candidate. Kevin, I think if you take time to look around, you’ll see that pretty much EVERYONE disagrees with you pal. And not just with your idea of making Sarah Palin RNC chair, but your entire condescending, factually incorrect, backhanded complement filled drivel. To take the anniversary of day that Sarah Palin literally changed history forever to insult our intelligence, and Sarah Palin, is simply breathtaking. First of all, could you BE more obvious with your intentions here? We all know what this little “suggestion” is all about. You beltway, establishment Republicans are looking for any way possible to get Sarah Palin out of the running for 2012, so as to pave the way for one of your show ponies, who have zero chance if (when) Sarah runs for President. Gotta keep the Big Government Republicans in power, even if it means running a show pony who can’t win against Obama. All of you cats know exactly what Sarah Palin is capable of. You know good and well what she did to the corrupt establishment Republicans in Alaska, and you know what she would do once she was in the White House. Business as usual would come to a loud, grinding halt. Now you are right about one thing, Sarah Palin can raise money like no one out there. That will come in handy for her in 2012, now won’t it? And you can bet there wouldn’t be any of your establishment type buddies out there on her watch, if she was RNC chair. She’s not perfect, but she’s got a rock solid record of picking winners, good solid Common Sense Conservatives, who actually believe in the Constitution and the Rule of Law. An unknown concept in D.C. The thing is, neither she, nor the candidates she chooses to endorse, need the RNC as bad as the RNC needs them. The RNC has become so undependable, so establishment driven, and so timid, they are becoming an afterthought. Conservatives, the people that make up the bulk of the Republican base, now research candidates on their own, and send them money directly. Far less likely to see their money wasted on loser show ponies, or after hours parties. Could you make a bigger clown out of yourself? I guess you’ve been too busy dreaming of mediocrity to go over to Facebook, Twitter, or check out her appearances on Fox News and Fox Business News, or listen to her speeches, most of which are readily available online at either Palin TV or The Right Scoop. Maybe you should start with her latest red meat offering from her appearance in Norfolk, Virginia. This was a serious policy speech on national security and foreign policy. In it, Sarah lays out an aggressive agenda for not only national security and foreign policy, but Liberty, Freedom, and the American way. It’s not her first. You can read the transcript and commentary here. Sure, she’d be polarizing, but so is Barack Obama, and these are polarized times. And it’s one thing to have a polarizing party chairman, another to have a polarizing candidate. You know who else was polarizing? Ronald Wilson Reagan. Reagan was incredibly polarizing, especially to the country club, Rockefeller, establishment wing of the party. In fact, it’s quite telling that you guys are now using the same tired old play book you used on Reagan, to no avail, on Sarah Palin. It’s awfully big of you to note that Barack Obama is polarizing as well. This gives us a chance to point out that there are two kinds of polarizing. Barack Obama is the negative kind. He polarizes people against him and his Marxist agenda. In less than two short years, he’s managed to turn most of the Republic against him and his out of control Congress. Barack Obama has polarized the nation in a way few could. He has Americans picking up the history books, and reading the Constitution again. He has people engaged in the political process like no time in recent history. The Republic is polarized against him, and working to defeat him and his radical agenda. Ronald Reagan and Sarah Palin are cut from the same cloth. For the lack of a better term, they are “Field of Dreams” kind of leaders. They know if you stand for something, believe in something, and are a person of good character and virtue, people will beat a path to your door. Like Reagan before her, Sarah knows you don’t moderate your message, or “move to the middle” in search of mythical “moderates” that don’t really exist. Instead, you build a solid agenda based on time honored principles. You build it, and the people will come. When Ronald Reagan ran for President in 1980, he ran as an unabashed Conservative. He had strong positions on everything, and was thought of as incredibly polarizing. The thing is, people aren’t looking for someone who will tell them what they want to hear. They want a leader. They want someone that not only matches their values, but someone who will take a stand for those values, and never, ever backdown. This really isn’t polarizing, in the end, it’s galvanizing. This is something you squishy country clubbers aren’t capable of grasping. Reagan won back to back landslide victories running as an unabashed Conservative, with a proven record. He was able to galvanize the people, and turn the nation around by sticking to these principles,and leading with conviction. Currently Sarah Palin is leading as an unapologetic Conservative. She’s a real fighter who never backs down, never gives any quarter. Never compromises on her principles just to curry favor from some here today, gone tomorrow faction.She too is galvanizing the nation, in her effort to save it. Sarah Palin, like Regan, has a proven record of not just talking the talk, but walking the walk. Her record is unmatched by anyone currently on the scene. If Sarah is so bad, why haven’t you called for … oh, I don’t know …. 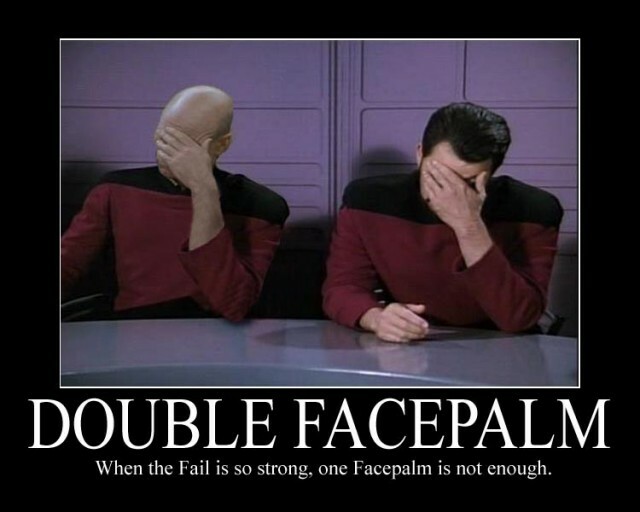 Mitt Romney …. to come in and save the RNC? I mean he’s supposed to be the big businessman, isn’t he? He actually did turn around the Salt Lake City Olympics, saving them from disaster. As Romney is currently disengaged from the fight against tyranny and oppression, and unlike Sarah Palin, who is LEADING the battle, finds himself totally unencumbered by the responsibilities of saving our Republic, you’d think the guy would be the perfect choice. Oh, I know he wasn’t all that impressive as Governor, and his endorsements aren’t worth much, especially when he waits until after they win their primary, and well, maybe we shouldn’t mention RomneyCare at all, but hey, the guy can raise money! Much better to pick someone like Romney, and make him a clerk, than take the Commander-in-Chief off the battlefield and give Her the job, eh? You know what? I have a much better idea. How about we just call up Ken Blackwell and ask him to take over? He’s the one who should have had the job all along. **Check out Stacy Drake’s take on all of this nonsense here. Pray for Our Nation’s Future As We Celebrate Her Birth! Happy Fourth of July to all of our readers from the authors of the Sarah Palin Information Blog! We wish you a blessed day as we celebrate America’s Independence Day. As you go about the day’s activities and festivities, please remember to pray for our country, that God will protect our nation from the forces without and within that seek to destroy her. We are living in a time when the very foundations of our Republic are being threatened, and it is up to us to engage in the battle to protect our freedoms. 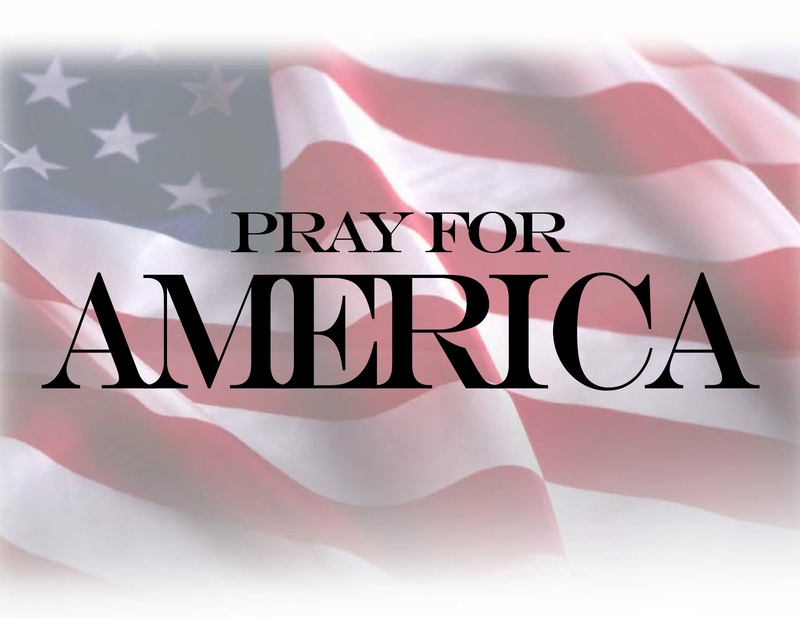 The Fall2Call website has issued a nationwide call to prayer for America today. Please visit this website and show your support. And let us also remember our military and their families in our prayers as our troops stand watch for us around the world and fight for freedom in Iraq and Afghanistan. We live in a time that may cause us to wonder if after this twilight our flag will still wave. That depends a lot on us, whether we will call out to our Creator as our forefathers did, and if we are willing to work, and fight, and vote for the freedoms our forefathers wrote into the founding documents. May that Star Spangled Banner yet wave “o’er the land of the free and the home of the brave” for all generations to come! Happy Independence Day, America!